London-based Laurence King republished the best-selling, FL@33-designed book Patterns – New Surface Design by Drusilla Cole as an English mini edition (80% of original size). ___ We redesigned the cover to fit the new format and – as so often with book covers – went through a series of colourways and possible finishes before deciding on an elegant and fresh turquoise / gold-foil variant. We were aiming to achieve a similar impact with the new cover compared to its original (even more expensive) yellow / cyan cover that also had flaps and featured a spot UV finish and black flock combination. 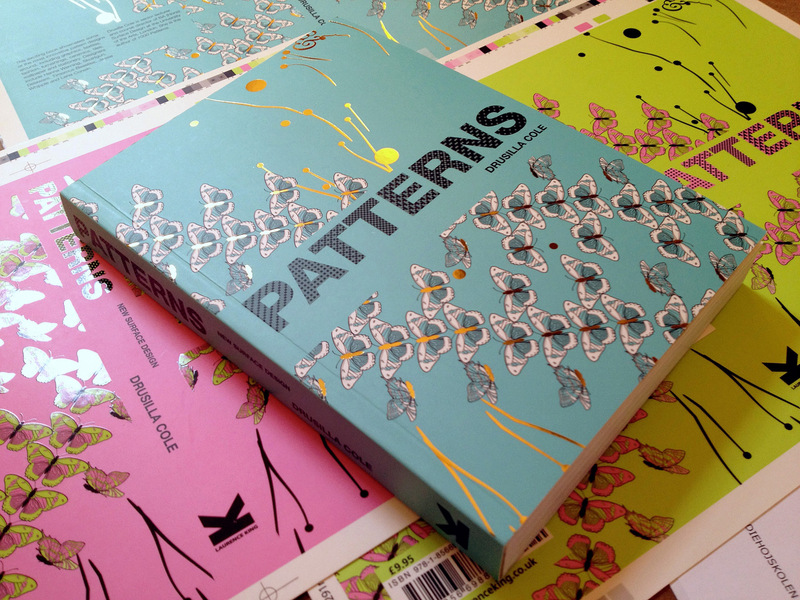 ___ Seen here is a picture of a final copy and untrimmed test proofs showing some of the shortlisted colourways.